Today’s subject is Dark + Light. I’m not going to lie, this has been a topic that I’ve struggled with since I was little. Why does darkness exist? Why do bad things happen to good people? Why can’t things just be right, be happy, be easy? After you died, I was awash in both light and dark which swirled into the deepest parts of my being and mixed up everything I thought I knew. God’s light shone so brightly over my heart that I was, somehow, able to survive watching you die in our arms. I was able to re-live the memory of trying to resuscitate you without being completely crippled. It wasn’t easy, actually, it still isn’t easy…I don’t expect those memories to ever fade away or be easy to accept, but I still survive. 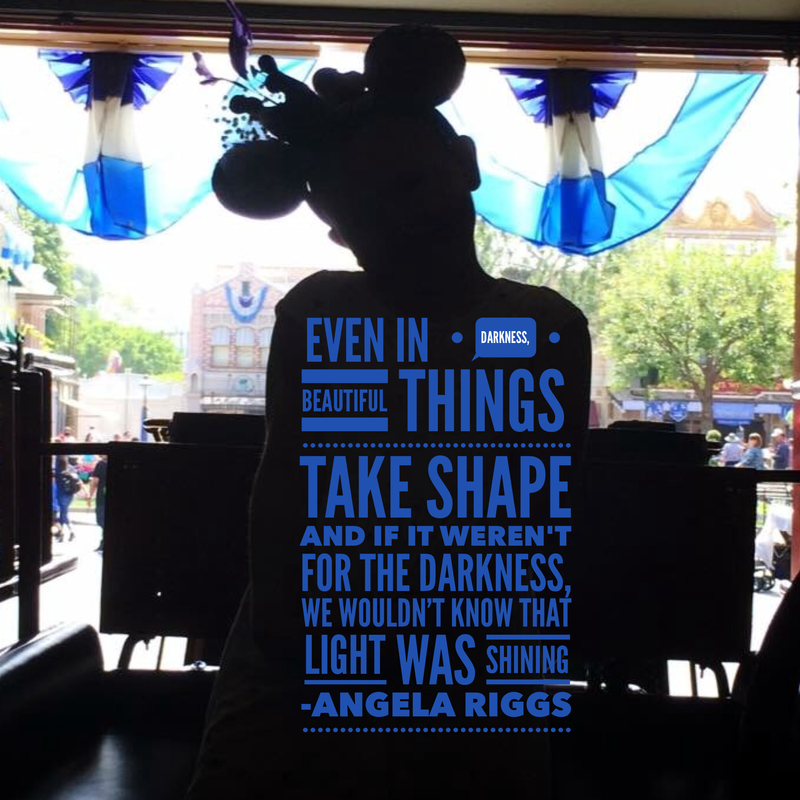 The photo that I chose for dark+light was taken by your dad and is of Alyssa in the firehouse at Disneyland. After you died, your dad and I realized that we needed to show your sisters that, even though we were broken beyond belief, we were still a family and we still deserved to have each other and to enjoy life. We chose “the happiest place on Earth” to celebrate you/us/each other. This picture shows that, even in darkness, beautiful things take shape and if it weren’t for the darkness, we wouldn’t know that light was shining. I love you sweet boy. I know you’re having a wonderful time in Heaven. Give grandpa Augie a big hug and kiss for us.